In the spring, Seniortek participated in the Kasvupolku (“Growth Path”) competition and received coaching from dozens of experts. The Kasvupolku project ended with spectacular results in restaurant Kerubi in Joensuu on Tuesday 9 June, when Seniortek was announced project winner in North Karelia. “Groups who live at home and need specialized assistance are increasing. Special group service provides form an expanding customer group for Seniortek’s “Smart Flower Stand” product, which eliminates many restrictions from the user’s life. We are currently conducting negotiations on a statement of intent in Norway. The statement is intended to be signed in Narvik on 15 June. We are also in the process of developing new products for, for example, hospital application. In addition to internationalization, we are eager to expand operations in Finland,” says CEO Pasi Nurmela. Seniortek’s patented technology offers excellent growth prospects. We are constantly continuously developing something new. 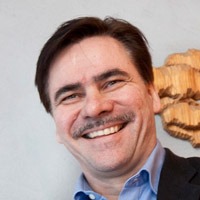 Experienced entrepreneur and the chair of the Kasvupolku panel of judges, Keijo Mutanen, says that the panel wanted to specifically highlight the company’s motivation. “In making our decision, we weigh a company’s growth prospects as well as the team’s drive to reach their goals,” says Mutanen. After the “Growth Path”, Seniortek continues on to the national KasvuOpen competition final after receiving coaching. We wish all the participants the best of luck!